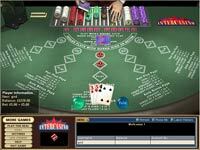 Established in 1996, Intercasino has managed to earn itself a strong reputation. This is certainly a great casino for the experienced player, Intercasino features a VIP Blackjack & Roulette table with great odds (albeit with high minimum wagers). New players can choose between a large £600 slots bonus or a smaller £300 bonus for table games. New players can opt for a slots bonus matching your initial 3 deposits up to £200 (totalling up to £600). The first bonus is subject to 40x wagering requirements and the 2nd and 3rd are subject to 30x wagering requirements. This averages to 33.3x wagering requirements assuming you have equal amounts deposited at each stage, crafty player may opt to deposit the £25 minimum on their 1st deposit and max out the 2nd & 3rd bonuses to achieve slightly more favourable wagering requirements. 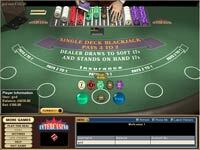 Players who prefer tables games can opt for smaller the classic bonus which allows you to wager on tables games. The same wagering requirements apply however be aware that despite it being specficially a table bonus only 25% counts towards the requirements (less in the case of Blackjack & certain video poker games). That said 25% counting towards games such as Roulette is actually quite generous in today’s market. Intercasino offers a single deck VIP version of it’s Atlantic Blackjack game and a VIP European Roulette which features the French ’en prison’ rule where half of your outside bets are returned when a zero is spun in (1.35% edge). Although Intercasino will reply within 24hrs it falls short of some of the lengths other casinos go to, they lack the usual freephone line but do have email and live chat.